There are new security trends around IT industry priorities. Cloud security is going to dominate the IT conversations in the near future. 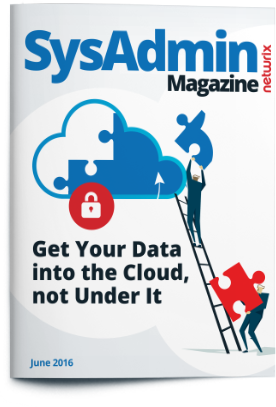 June issue of SysAdmin Magazine is all about data security both on premises and in the cloud. Read about new security trends, learn how to ensure your data security both on premises and in the cloud and explore top freeware tools for IT pros.